Patricia is pleased to be reading a story from Full of Grace at this event. Patricia has devised a spoken word presentation of Full of Grace. The presentation consists of Patricia reading six of the twelve stores from Full of Grace with guitarist Jamie Moore providing musical interludes. The presentation lasts 40 minutes without interval: 1 hour including a 20 minute Q & A and no interval or 75 - 90 minutes with an interval followed by a Q & A. This spoken word event has been well received wherever it has been performed. The launch event at the Tom Thumb Theatre in Margate sold out a week in advance. Other venues have included Conquest House in Canterbury and The Jermyn Street Theatre in London's West End. In 2017, Patricia and Jamie presented Full of Grace at the POW! Thanet Festival celebrating International Women's Day and at the Whitstable Literary Festival - in Whitstable Castle. The Canadian premiere of Full of Grace took place in Ottawa in April 2017. Patricia and Jamie have also been invited to attend meetings as guest speakers. On these occasions, after a brief talk, Jamie plays some instrumental music and Patricia reads one or two of her stories followed by a Q & A. ‘Patricia and Jamie have done some live performances of excerpts from the book …. 'Lovely presentation of her work. to childhood and adolescence, but she has the ability to energise her characters in her delivery. 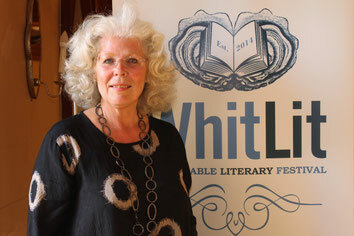 IsleWriters are fortunate to have such an accomplished writer in their group. Reading / performance of Full of Grace at Conquest House, 1 May 2016. 'Patricia Mahoney's live reading of stories from Full of Grace was moving and entrancing. Audience members in the Undercroft of Conquest House were mesmerised, each identifying in their own way with the central character of Mary Margaret. Patricia's delivery was gentle and well-measured yet there was a playful hint of impending mischief or some comical disaster just below the surface. Original guitar music composed and played by Jamie Moore added to the over all atmosphere.